another profile of hers...may be an older one she states that she is 14 or 15...same date of birth though. She seems to really be concerned with boys and how they view her...my guess would be she had been speaking with a guy online. She just seems easily persuaded by what I read. Also, I noticed a statement that the only time that she was ever really depressed was when a guy upset her. One year after the mysterious disappearance of Samantha Ann Clarke, police are still investigating the unresolved case. Clarke, of Orange, was 19 when, on Sept. 13, 2010, she left her Lindsay Drive home and has not been seen since. “This case is still officially a missing person case,” said Town of Orange Police Department Chief, James L. Fenwick. “We are actively investigating it and are actively pursuing leads.” Fenwick said that this case is the department’s number-one priority and they have an investigator working solely on the case. Fenwick declined to comment on whether foul play is suspected at this time. However “her lack of contact with family and friends certainly makes this case suspicious.” He said that family members informed police that “good or bad,” Clarke would have informed them of her whereabouts. The Town of Orange Police Department reports no new developments in the continued search for missing Orange woman, Samantha Clarke, then 19, who was first reported missing 15 months ago. Police chief Jim Fenwick said his agency is following up on information developed from an out-of-town search more than a month ago, but that the department cannot release details about that visit at this time. Clarke was last seen Sept. 13 of last year, when she indicated to her brother she was leaving the family's home on Lindsay Drive, but would return. Her family reported her missing two days later. As Clarke's family prepares to endure a second Christmas without answers to the young woman's whereabouts, Fenwick maintains the necessity of a tight lid on many of the case's details. The chief said that he contacts Clarke's mother Barbara Tinder with updates when he can, but says he understands the desire to know more." Anyone with information regarding the whereabouts of Samantha Ann Clarke is asked to contact the Town of Orange Police Department at 672-1491, Orange County Sheriff's Office at 672-1200, or Orange County CrimeSolvers at 672-7200. Every day brings fresh torment for Barbara Tinder. "I keep expecting her to walk in the door," says the 37-year-old town of Orange resident, who has spent the last two years anguished over the disappearance of her teenaged daughter, Samantha Clarke, who was last seen in September 2010. Meanwhile, Samantha's disappearance has devastated another person's life. 47-year-old Randy Allen Taylor claims police have singled him out as a suspect in Samantha's disappearance, and have harassed him by planting evidence and illegally tracking his whereabouts with GPS technology, even though he's told them he hardly knew her. "The case needs to be solved," says Taylor, "but the way they're going about it is ridiculous." Posted: Saturday, October 12, 2013 11:59 pm | Updated: 5:37 am, Mon Oct 14, 2013. Though their stories may differ, the families of the missing bear a similar scar. Harrington has a tattoo of seven dots on her wrist to symbolize “241.” For the Harringtons, the numbers symbolize, “I love you too much, forever, plus one.” Harrington bid this farewell to her daughter in their last moment together. 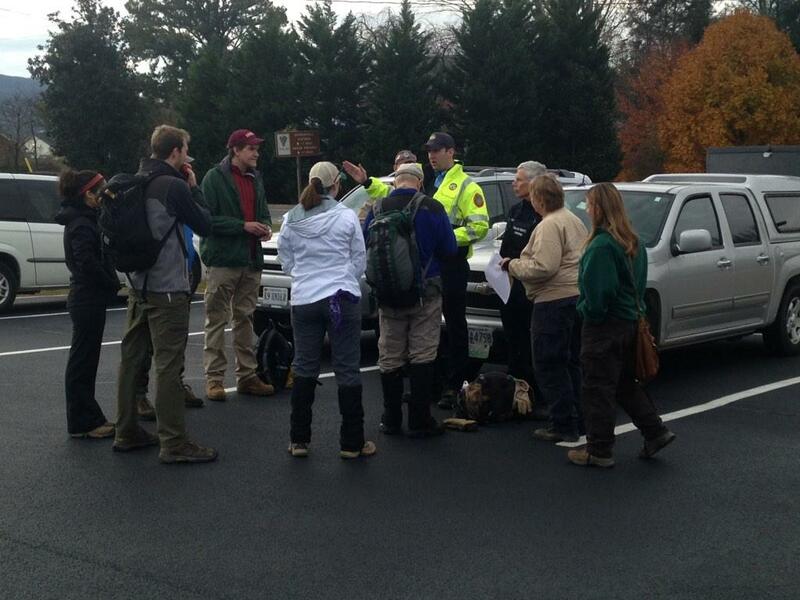 150 crews are scouring Orange County to reignite search for #AlexisMurphy and #SamanthaClarke. Town of Orange Police and the Orange County Sheriff’s Office are planning a “pretty large operation” Sunday to sweep the county in hopes of discovering the whereabouts two missing women, town police Chief James Fenwick said. The two agencies are still working out the details of the search for Samantha Ann Clarke, of Orange, and Alexis Murphy, of Nelson, he said. In October, Orange authorities said Nelson County authorities and other specialized search units also would be a part of the search. ORANGE COUNTY, Va. — Orange County officials plan to meet with the press on Sunday, Nov. 16, 2014, at 8 a.m., in regards to the search for missing teens Alexis Murphy and Samantha Clarke. Murphy went missing from Nelson County on August 3, 2013. Randy Taylor was convicted of her murder in May 2014, and sentenced to two life terms. Murphy’s body has never been found. A new search will soon begin for her in Orange County. Samantha Clarke went missing from Orange County in 2010. It is also believed Randy Taylor had contact with her before she disappeared. Police held a news conference on Sunday morning about missing teens Alexis Murphy and Samantha Clarke. Chief James Fenwick of the Town of Orange Police Department says police are going to be searching an area that they have searched before. It's an area Randy Taylor would have been familiar with and would have had access to. "Every lead we pursue in these cases, we're looking at both cases," Fenwick says. At least 150 people are expected to search for Alexis Murphy and Samantha Clarke. Investigators said nature worked against them the last time they searched this area. Now they hope to use aircraft similar to what was used in the Hannah Graham search. The greatest possible outcome for these searches would be to find both missing teens, according to police. "We're out here beating the bushes, seeing what we can find," says Fenwick. Page created in 2.115 seconds with 19 queries.